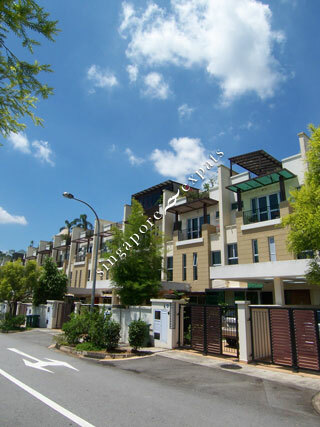 STRAITS GARDENS is located at 1 KANDIS WALK in district 27 (Sembawang, Yishun) of Singapore. STRAITS GARDENS is a Freehold Landed Estate development consisting of 67 units. STRAITS GARDENS is completed / TOP in 2005 (estimated), developed by SEMBAWANG ESTATES PTE LTD.
Educational institutions like FUREN INTERNATIONAL SCHOOL, GEMS WORLD ACADEMY (SINGAPORE), KINGSTON INTERNATIONAL SCHOOL, WELLINGTON PRIMARY SCHOOL, CHONGFU SCHOOL and ENDEAVOUR PRIMARY SCHOOL are near to STRAITS GARDENS. STRAITS GARDENS is accessible via nearby SEMBAWANG, YISHUN and ADMIRALTY MRT Stations.